AFTER the entry of Reliance Jio in September 2016, the entire telecom sector has undergone a sea-change. Telecom biggies like Airtel, Vodafone, Idea and BSNL have gone into loss and are facing a serious financial crisis. Smaller telecom companies like Aircel, Tata Teleservices, Anil Ambani led Reliance Infocomm, Telenor, etc., have either closed down, or have got merged with bigger companies. Vodafone, a multinational giant, is unable to run its business in India and has got merged with Kumarmangalam Birla’s Idea. The merged entity is now called Vodafone Idea. Airtel and Vodafone Idea are facing rapid erosion in their customer bases. Tens of lakhs of their customers are migrating to Jio every month. Among the older companies, BSNL alone keeps increasing its customers, though marginally. Besides, Airtel and Vodafone Idea are burdened with huge debt. Vodafone Idea’s debt is Rs 1.20 lakh crores and Airtel’s debt is Rs 1.13 lakh crores. Comparatively, BSNL’s debt is less than Rs 20,000 crores. 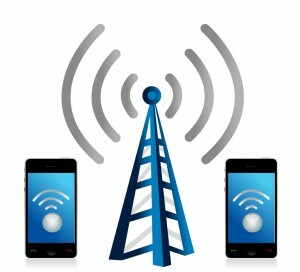 The total debt of the telecom sector is said to be in the range of Rs 8 lakh crores. There is a possibility of a bulk of these debts becoming non-performing assets, impacting the banking sector, especially the public sector banks. Prior to the entry of Jio, this was not the scenario in the telecom sector. It was a flourishing sector, attracting huge amounts of FDI. Then, how these changes have taken place so swiftly? Like Jio, Airtel and Vodafone Idea are also armed with the state-of-the-art technologies. When this is the case, how was Jio able to defeat the older telecom companies so decisively, and that too within such a short period? It was able to do this because of the manipulations done by the Modi government to deliver undue advantage to Jio. It is an open secret that Mukesh Ambani, the promoter of Reliance Jio, is very close to Prime Minister Narendra Modi. On the day when Jio launched its services, Modi appeared on the front pages of the prominent national dailies, appealing to the people of the nation to avail Jio’s services. Even the State owned BSNL has never experienced this kind of patronage from any prime minister. This advertisement itself was a message to the people that, Jio is having the blessings of Narendra Modi. From the day one of launching its services, Jio is practicing predatory pricing. Initially, it offered free voice, text and data to its customers in the name of “Welcome Offer”. According to the order of the regulator, TRAI (Telecom Regulatory Authority of India), such freebies can be given under ‘promotional offer’. However, there is a condition that such a promotional offer can be given only for 90 days. But, Jio continued to provide free voice, text and data services beyond 90 days, by changing the name of the offer as “New Year Offer”. This was done only to lure the customers of other companies. It is nothing, but predatory pricing. The ultimate objective of Jio is to eliminate its competitors, so that it can single handedly loot the entire telecom sector. The tragedy is that the Modi government is acting as the facilitator for Jio to achieve this goal. Now, what is predatory pricing? To put it in simple words, any product or service, sold below cost, with the intent to eliminate competition, is predatory pricing. TRAI order, issued in May 2003 says, “A teleco’s tariff would be considered non-predatory, if it is recovering Interconnect Usage Charges (IUC) and costs, through delivery of telecom services.” According to this definition of the TRAI, Reliance Jio is guilty of practicing predatory pricing, since it offered services not only below cost, but almost free. The TRAI should have certainly intervened and disciplined Jio. However, it is sad that the TRAI is providing backdoor support to Jio, which is daringly violating its own order. At the same time, there was one man among the bureaucrats who had the courage to pull up the TRAI, for its failure to discipline Jio. He was JS Deepak, the erstwhile secretary, Telecom. All telecom companies are paying license fee and spectrum charges to the government, as a percentage of their revenue earnings. When the revenue earning of all telecom companies drastically dipped, naturally the license fee and spectrum charges payable by them, to the government, also got reduced. JS Deepak, took up this issue with the TRAI. In his letter dated February 23, 2017, addressed to RS Sharma, chairman, TRAI, JS Deepak pointed out that the government had lost Rs 790 crores in license fee, during October to December, 2016. He told the TRAI chairman to take urgent steps to curb the predatory pricings of Reliance Jio. JS Deepak also cautioned that if the situation continued uncontrolled, it would also affect the capabilities of the telecom companies to pay Rs 3.08 lakh crore to the government, towards the spectrum that they had purchased. Alas! JS Deepak paid the price for daring to question the TRAI. On March 1, 2017, he was unceremoniously shunted out from the post of telecom secretary, and was dumped as officer on special duty in the department of commerce. Modi government showed to the nation, what would happen if any one dared to come in the way of Reliance Jio. At the same time, the exchequer lost thousands of crores of rupees, due to the dip in license fee and spectrum charges paid by the telecom companies. Even after shunting JS Deepak out of the Department of Telecom, the TRAI continued to face adverse criticism from many corners that it is supporting Jio’s predatory pricing. With the view to put an end to this criticism, on February 16, 2018, the TRAI came out with a new definition for predatory pricing. According to this, a company having 30 per cent market share of customers or revenue, is defined as an SMP (significant market power). The TRAI said that, only an SMP cannot practice predatory pricing. It means, a company, which is not an SMP can offer services below cost, and it would not amount to predatory pricing. It is very important to note that, Jio’s market share reached the 20 per cent mark only in August 2018. Thus, the order issued by the TRAI on February 16, 2018, is nothing but a shameless manipulation to change the rules of the game, in favour of Jio. However, the above mentioned order issued by the TRAI, was challenged in the TDSAT (Telecom Disputes Settlement and Appellate Tribunal). In its order issued on December 13, 2018 the TDSAT quashed TRAI’s new definition for predatory pricing. It also rebuked the TRAI, saying that its definition provided artificial protection to a telecom company (read Jio), who may have the capacity and intent to destabilise the sector with predatory pricing. This order of the TDSAT, unmasked the TRAI and exposed its real face to the nation. Allowing Jio to practice predatory pricing is only one of the manipulations done by the TRAI, to help Jio. Another important manipulation done by the TRAI, to give undue advantage to Jio, was the slashing of the Interconnect Usage Charge (IUC). IUC is the fee that one telecom company pays to another, when a call from the former’s network lands on the latter’s. The charge is levied on per minute basis. In December 2017, Reliance Jio was having 160 million customers. However, it still had more calls terminating on its rivals’ networks. Hence, it was paying more IUC to other telecom companies. With a view to help Reliance Jio, the TRAI slashed the IUC by 57 per cent, from October 1, 2017. As a result of this slashing of IUC, Reliance Jio was benefited in a big way. In fact, this step taken by the TRAI, helped Jio to become a profit making company, which was running in loss even after 15 months of launching its services. For example, Jio paid Rs 2,140 crores as IUC to other telecom companies during the July to September quarter of 2017. But, it paid only Rs 1,082 crores as IUC during the October to December quarter of 2017. Thus, the IUC burden of Jio was cut down by 50 per cent. As a result of this, for the first time, during the October to December quarter of 2017, Jio earned a net profit of Rs 504 crores. It is important to note that, during the July to September of 2017, Jio ran into a loss of Rs 271 crores. Further, as a result of the slashing of IUC by the TRAI, the older company’s viz., Airtel, Vodafone, Idea and BSNL faced a dip in their revenue. It is also important to note that, in the October to December quarter of 2017, Airtel’s profit dipped by 39 per cent, mainly due to the slashing of the IUC. The unethical steps taken by the TRAI and the Modi government have helped Mukesh Ambani in a big way to capture the telecom sector. In this process, the telecom sector has gone into a crisis. The exchequer has lost its income to the tune of thousands of crores of rupees.